I’ve been wanting to write this blog post for a while but my favourite gadget list grows on an almost weekly basis. Here I’m bringing you a few of my most favourite (and some even indispensible) kitchen tools which make my life so much easier, and bring a little style to my cooking. I got one of these for my birthday and was sceptical that such a beautiful thing could possibly be that good at mixing. 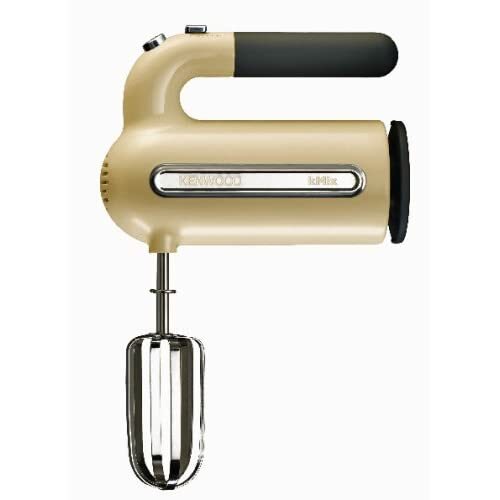 This hand mixer is certainly a thing of beauty, I love the retro cream finish (it’s also available in other colours too) and it’s extremely quiet too. The paddles made light work of beating eggs and sugar into a light batter and it comes with a stand for the paddles and mixer, so you can leave it on the worktop for people to admire. I was once a person who thought a pepper mill was just a pepper mill, but I’ve soon learnt that not all pepper mills are made the same. I spent a long time tagging along behind Chris on his post-Christmas sales shopping, comparing and contrasting the various different options on offer. 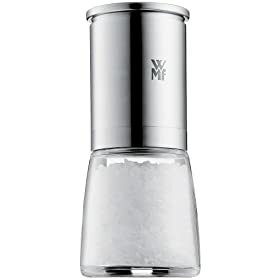 These WMF ones are not only extremely stylish sat atop your dining table, but they’ve also got a couple of design differences to those of say, Cole and Mason that make them just that little bit better. Firstly, the grinding mechanism is ceramic, so it’s much harder than the steel ones, meaning it’ll give you years of milling. 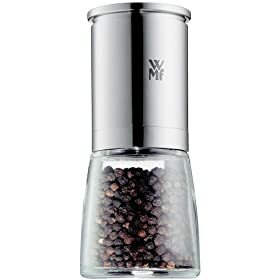 Also with this design, the mill is at the top of the design, so it doesn’t leave pepper all over your table after you’ve used it. Yes, they seem pricey (Chris got his for £20 each in House of Fraser’s sale) but they are well worth the money. I think these are a Robert Dyas own brand as I can’t seem to find them anywhere online, not even in their own online shop. They’re currently on buy one get one free and both the oven tray and the muffin tin are outstanding quality. They’re heavy duty and come with a 10 year guarantee. At around £10.99 (and being BOGOF) it’s definitely worth popping down to your local Dyas for. 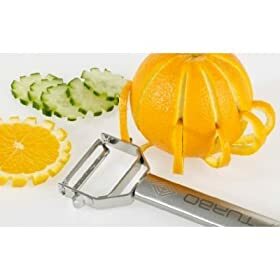 These peelers cut my peeling in time in half! There’s also a handy julienne peeler which is great for adding thin pieces of carrot to a stir fry. If you can find the set with the mandolin board, then buy that instead. I know they’ve been advertised on tv shopping channels which always makes me a bit sceptical but trust me when I say these are brilliant. As I walk to work very often my creations were ending up like they’d been through a war zone, so I searched online for a solution. Lakeland do offer a similar style but it’s only one level high. The reviews of it weren’t great either. This one has perfect sized holes for normal fairy cakes and has three levels, enabling you to take up to 36 cakes in it. The only thing I will say of it is that it’s hard to get the cakes out of it. My colleagues offered to drill a small hole in each of the bun holes so that I can push them out with my finger underneath. I use mine almost every week! I originally bought a small slow cooker from ASDA for £10 because I wasn’t sure how much use I’d get out of it. However, it’s soon become a staple kitchen item for me because I have to put almost zero effort into dinner when I get home and the meat is always so deliciously tender. I’ve cooked soups, stock, stews, ham in cider and ribs in it – the possibilities are endless. Just pop all your ingredients in in the morning, switch it on, and by the time you get home the food will be done. I often have trouble getting the skin off garlic, but this makes it a doddle. 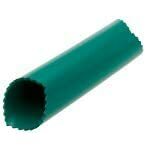 Just cut the ends off the garlic, put it in the tube lengthways and gentle roll the tube on hard surface. Magic! I am in love with my cupcake courier – I think they are absolutely brilliant! Hi Gemma, you can get one here: http://www.craftcompany.co.uk/acatalog/Boxes___Transportation.html.